Welcome to Nourish Me Mum. Truth is, I’m not very good at this whole ‘about page’ thing. Everything I write tends to read like a bad high school year book. I’m a Canadian living in Melbourne, Australia. Wife to Aussie hubby Chris, mum to Charlotte, James and Adelaide. My three little Can-aussie kiddos, five and under. I’m a wholefood enthusiast, indoor plant lover, essential oil addict, certified Holistic Health Coach and amateur gardener. Photography and styling are my jam - I love making things look pretty, taste delicious, function well and make my life better, easier, healthier, happier….you get the idea! I believe in nourishing ourselves and our children through good food and living a healthy, active, love-filled life. It was this passion that lead to the creation of Nourish Me Mum in 2016. 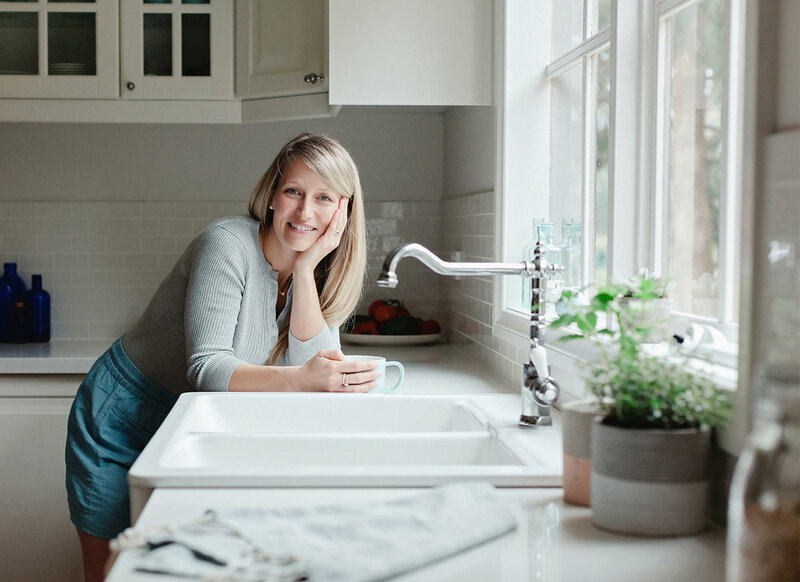 I wanted a place to share and inspire the passion for delicious, healthy, happy, living in you too! You can count on me for plenty of gluten, dairy and refined sugar free recipes. Smoothies, salads, snacks and treats are my specialty. You can find my recipes HERE. In 2019 I will be adding posts about great family friendly products, wellness book reviews, household tips and fun challenges to create your best family life. I will also be sharing more of my own home and lifestyle with you. My hope is if you’re a woman and/or mum like me, trying to do your best for your family, looking to learn, grow, challenge yourself and seek out ways to improve your health, day-to-day living, and overall wellness, that you can find some amazing resources here to help support you on your quest.